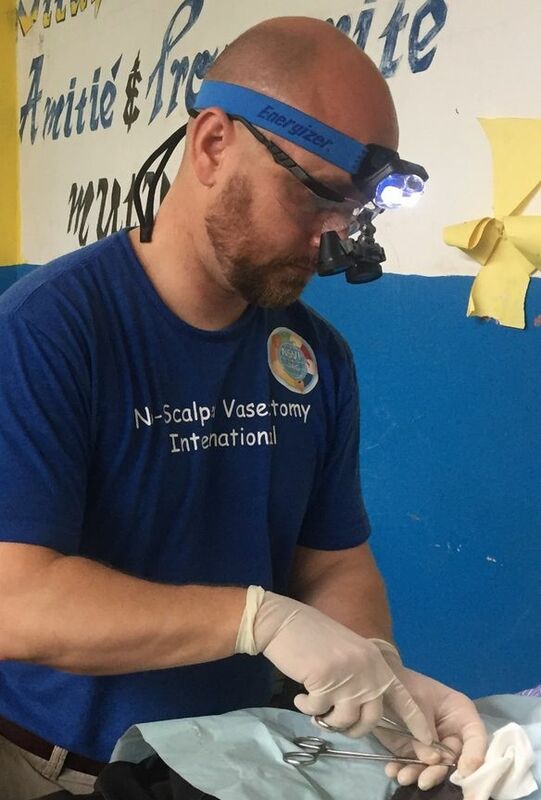 2017 October | No-Scalpel Vasectomy International, Inc.
From October 25 to October 28, NSVI conducted its 14th vasectomy mission in Haiti. 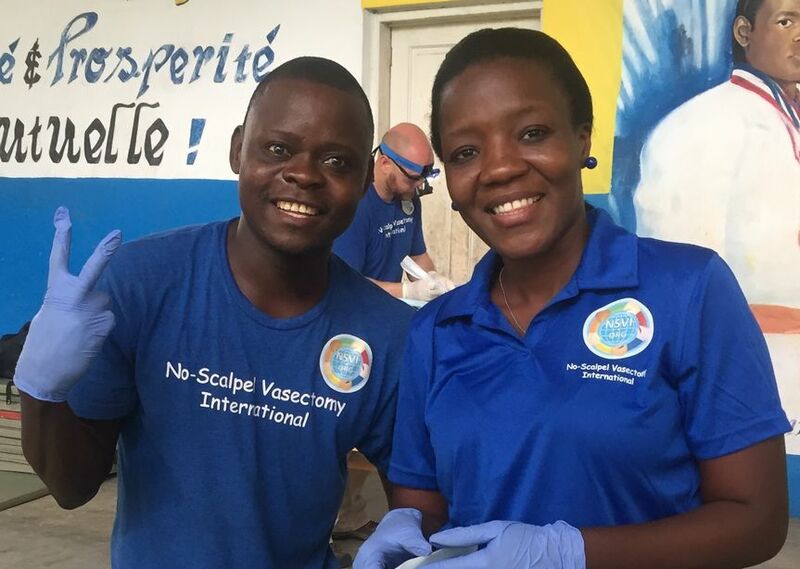 Vasectomies were performed on 163 men (average age 43.8) who had had a total of 842 children (average 5.2 per man). 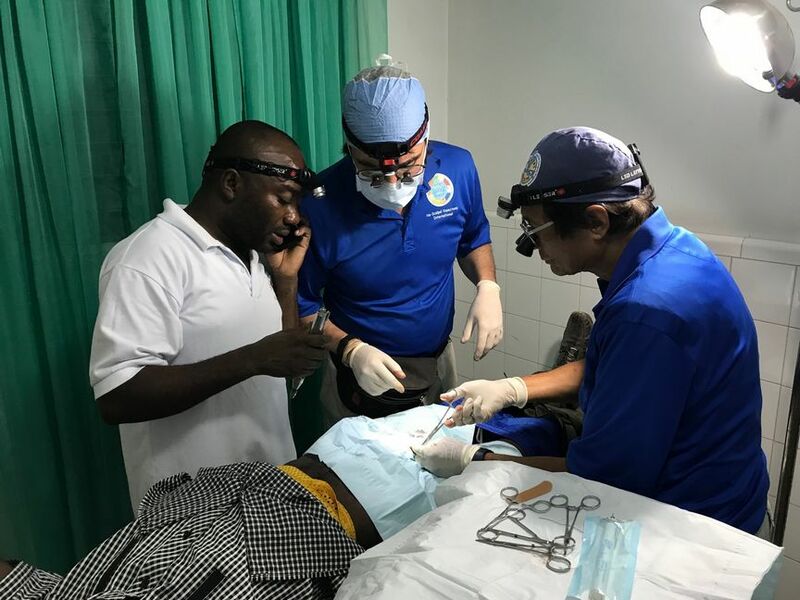 International vasectomists were: We met in MIA for the final flight to Cap Haitien: Once again, we stayed at the Hotel Roi Christophe and performed vasectomies at 6 locations. 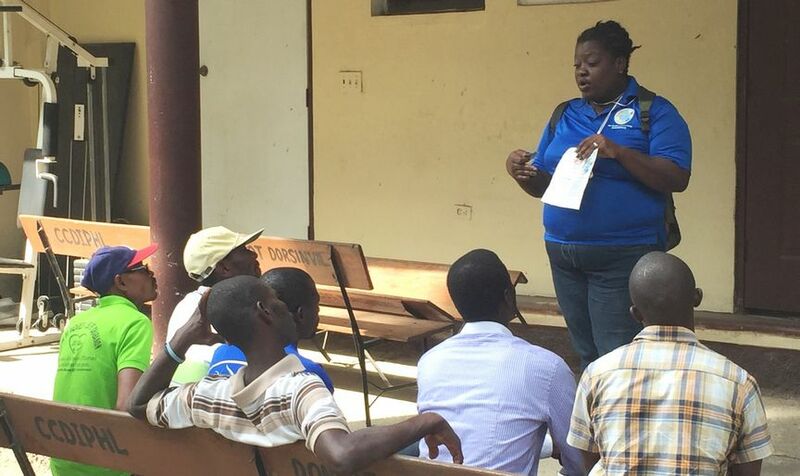 To cover all locations, we divided into two teams on the first day – details below. 1. 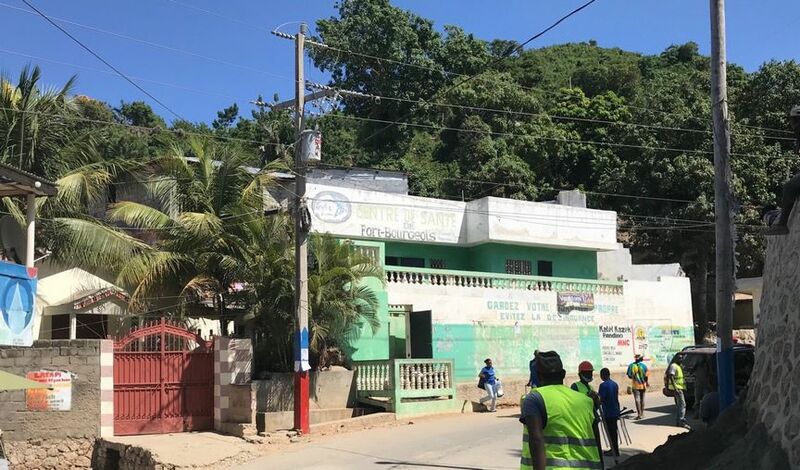 Arrived in Cap Haitien on American Airlines #2732 at 4:42 PM. 2. 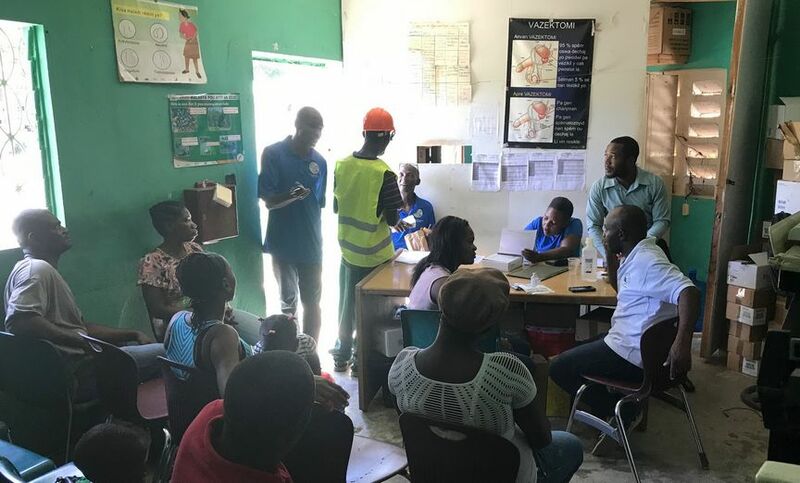 5:30 PM: Picked up stored supplies, procedure tables, and Mayo stands at the Cap Haitian Health Network (CHHN) office. Also exchanged money there. 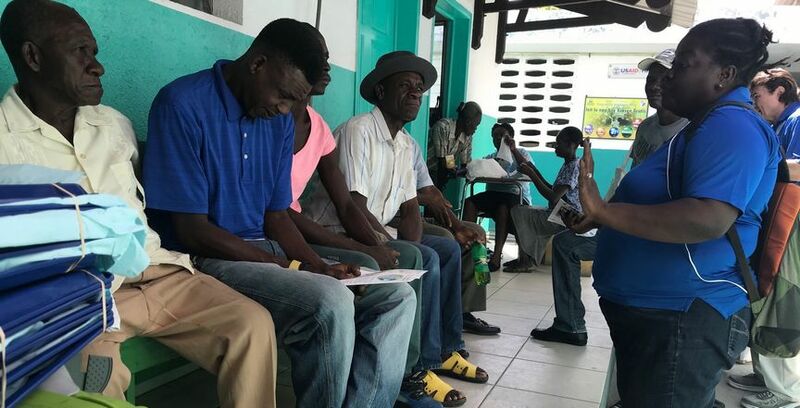 NOTE: A special THANK YOU to Ted and Elisabeth Kaplan, founders of the CHHN, without whom NSVI’s work in Haiti would be much more difficult if not impossible. 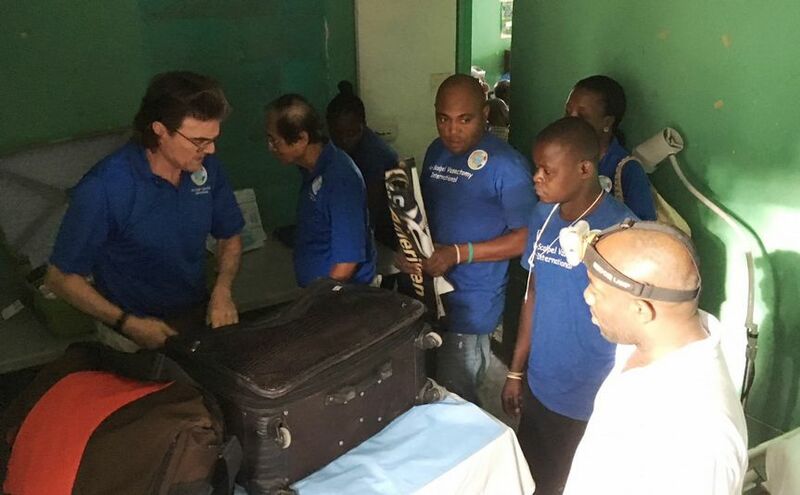 Spent the evening at Hotel Roi Christophe organizing supplies to equip a second team. After breakfast at the Hotel Roi Christophe, we all went to ULS in Ft. Bourgeois. 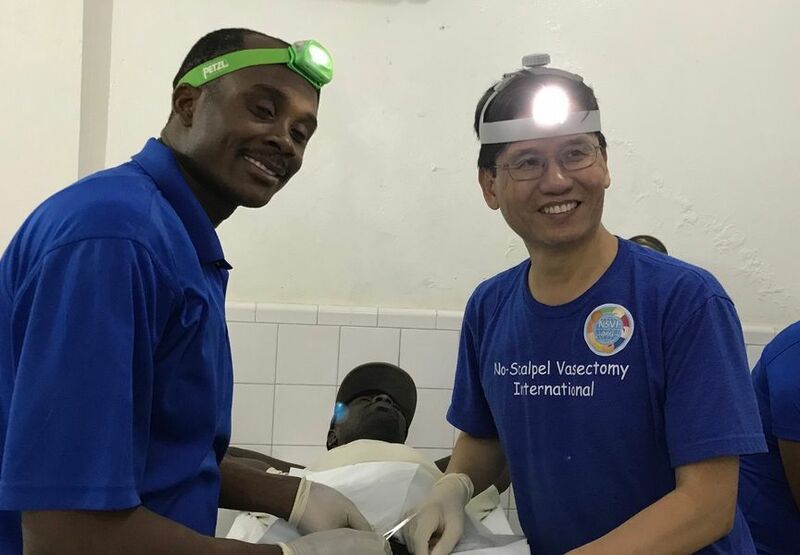 After setting up, Team 1 (Shu, Mesadieu, Zacharie, Mario, and Abia) stayed for 29 vasectomies, while Team 2 (Zola, St.Vil, Suarez, Stein, Covsky, Mamaille, and Tenel) went to Centre de Sante 2000 in Limbe. 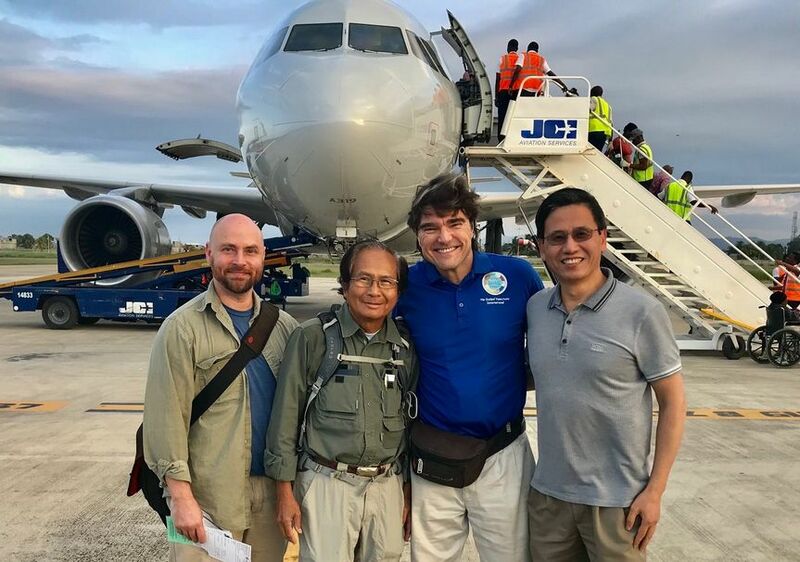 Past director Dr. Manno was overseas, his replacement seemed uninterested in our visit despite support visits by Covsky over the month prior this mission, the room we have always enjoyed was not available, and only 5 patients came. (It is very unlikely that we will return.) 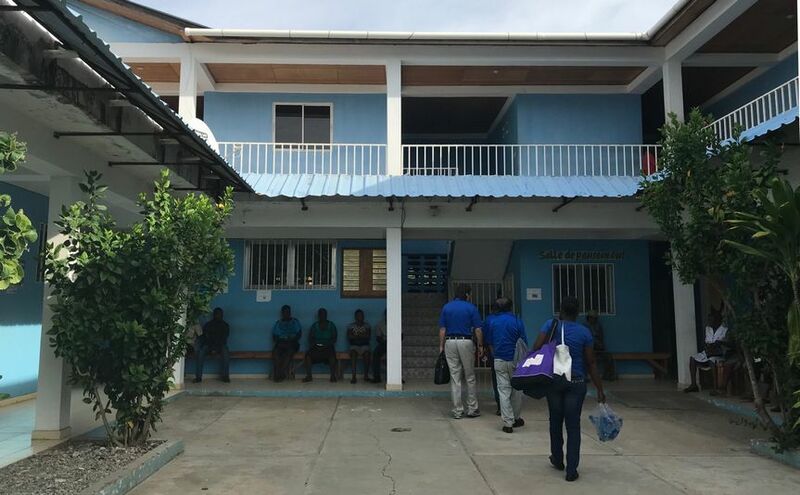 Team 2 then went the Clinic of Eugene Maklin (New Hope Hospital) in Plaine-du-Nord where we found a fantastic facility, enthusiastic medical staff eager to learn, and energetic support staff. 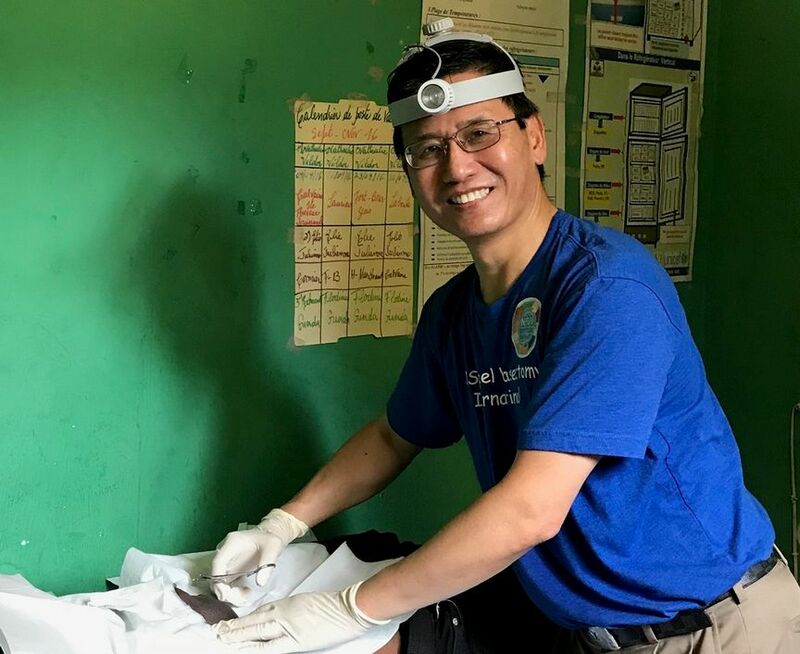 Since vasectomy is new to the facility and the area, only 9 patients came, but the location shows great promise for future missions and Dr. Jonguel Brinvert was a fast learner eager to run a second domestic team. 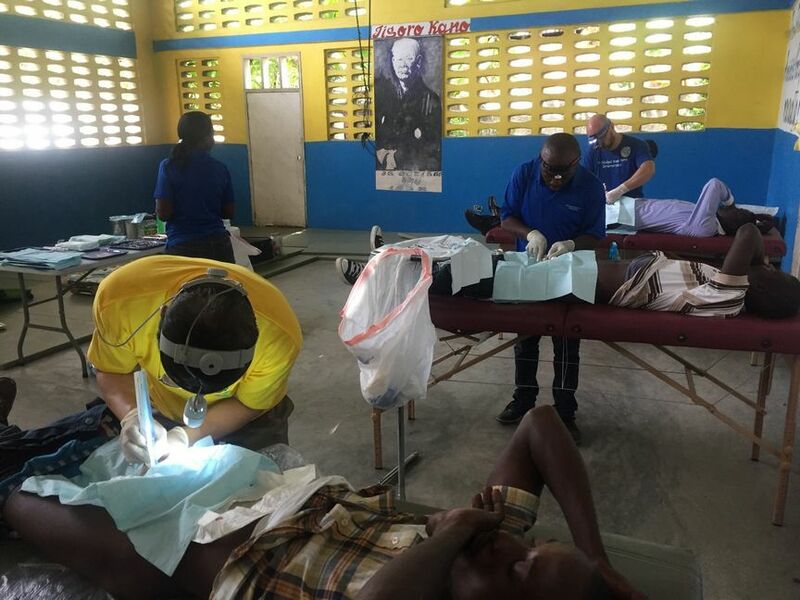 Team 2 then joined Team 1, which had already transferred to Clinique Dugué in Plaine-du-Nord where 29 vasectomies were completed and we continued to train Dr. Gessica Dugue. 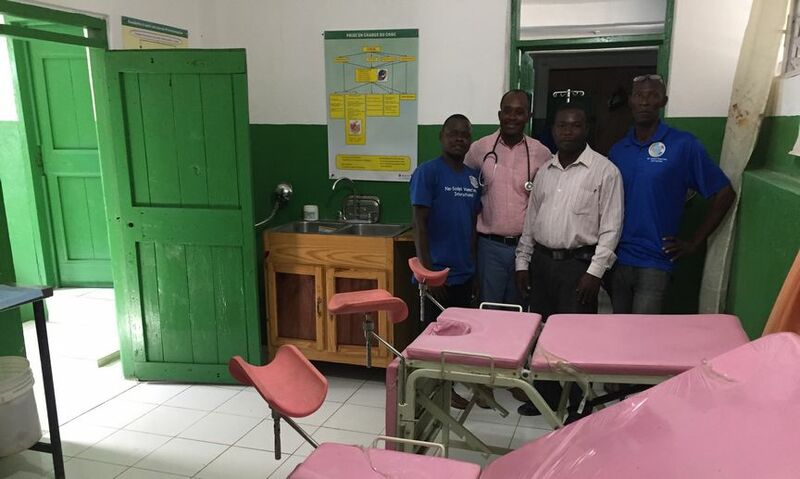 We all set out for Clinique Esperance et Vie in Terrier Rouge, but learned on arrival that there were last-minute administrative issues that made the clinic unavailable, and the administrator who halted the visit was not on site for explanation. 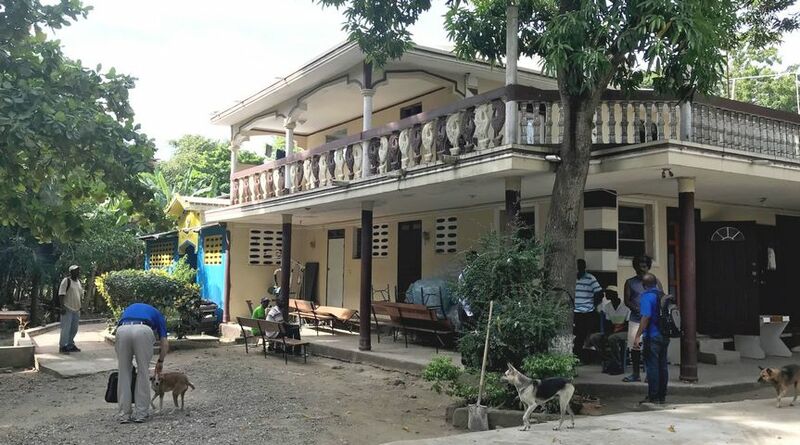 So we went to the nearby government clinic run by Dr. Benjamin Abnel and learned that it might work as an alternative Terrier Rouge location for future missions. 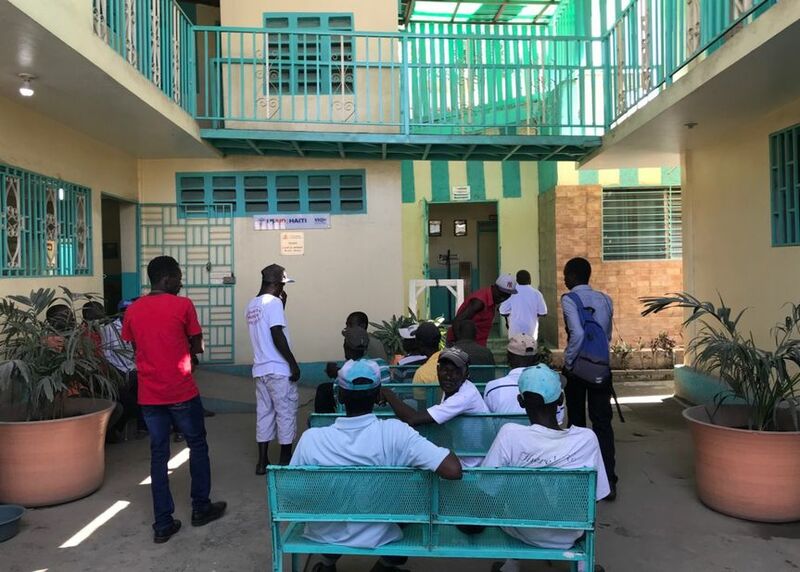 We then all went to Clinique RJP-CRAPS in Limonade where Dr. Romel Jean-Pierre allowed us to use the gym where he teaches martial arts. It was fantastic: plenty of well-lit space with good circulation. 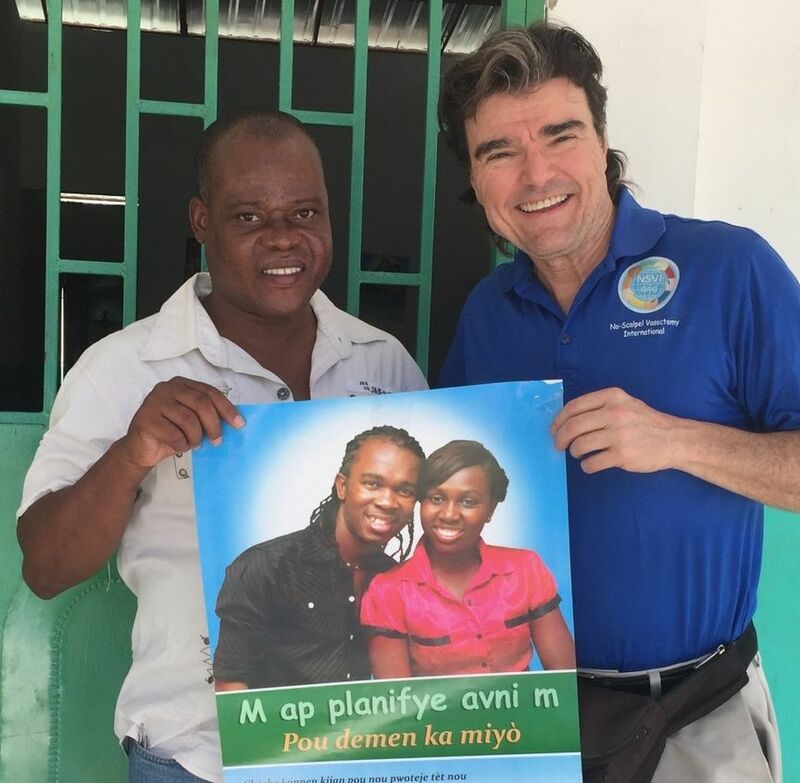 After 14 vasectomies there, we all went to Hopital FSM in Cap Haitien. 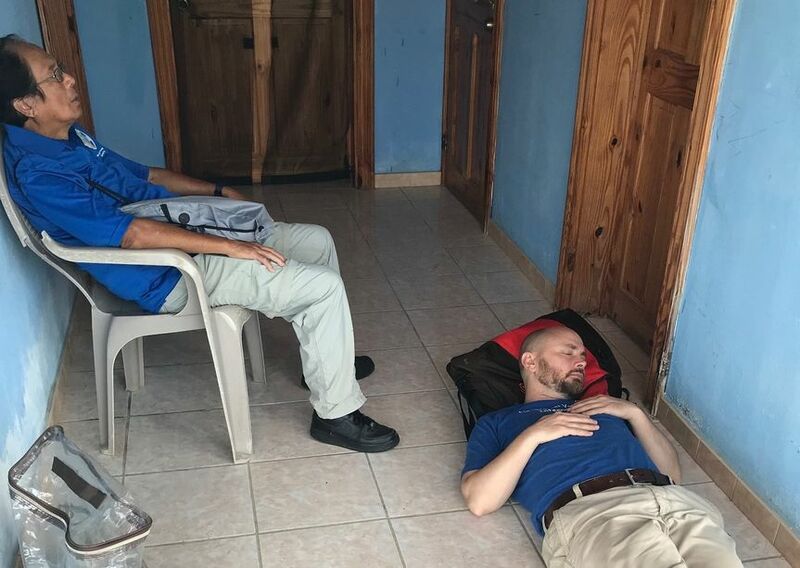 The room is large enough for only 3 tables, but it is close to the airport for a speedy departure on Saturday and we can leave our supplies in the locked procedure room overnight, all set up and ready to go on Saturday. 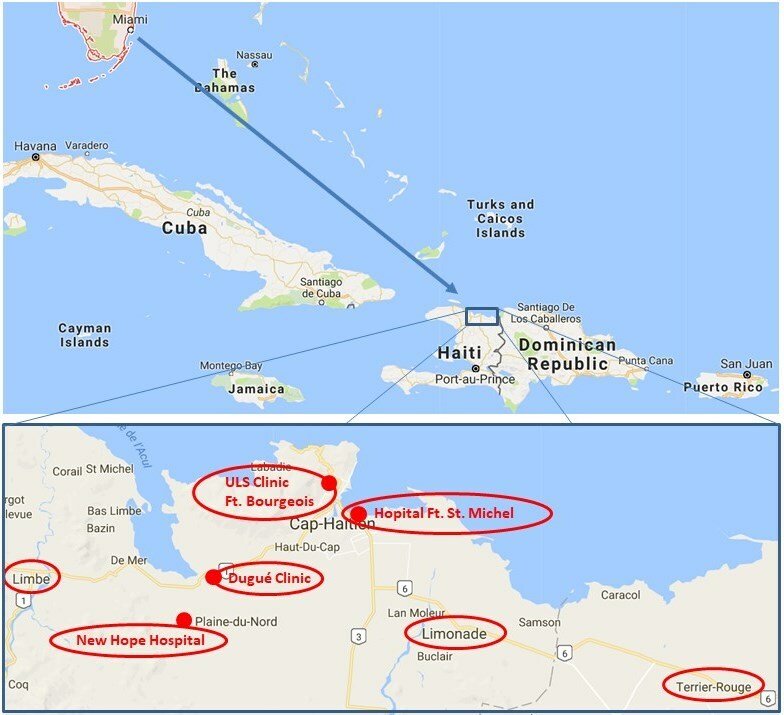 Near the center of activity in Cap Haitien and on a main road, HFSM is always our best mission site, and we did 23 vasectomies. 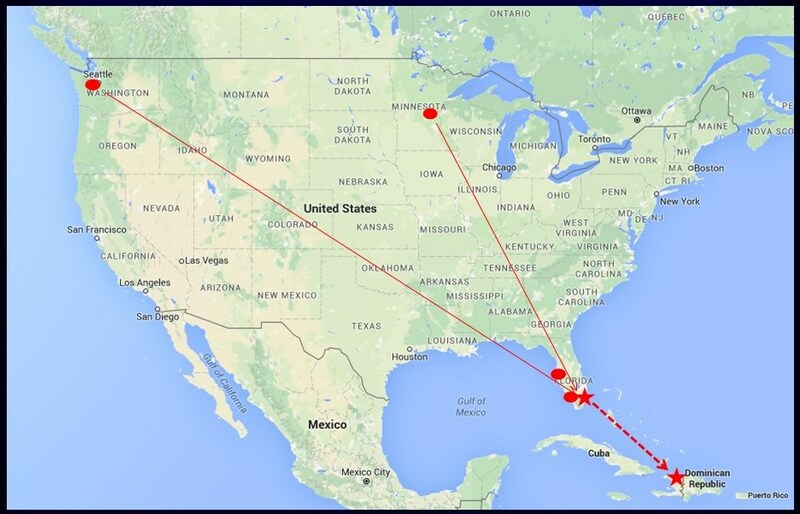 … depart CAP at 5:32 PM on American Airlines #2732, excited to start planning the next mission in March 2018. 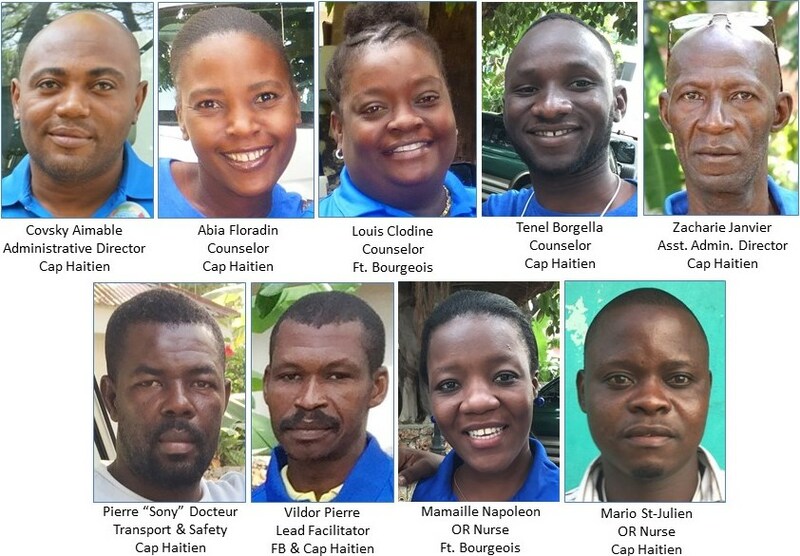 Some updates are also in the Facebook page for the Cap Haitien Health Network. Wednesday: Late day arrival. Thursday: breakfast the next morning, and on to the ULS Clinic in Ft. Bourgeois. 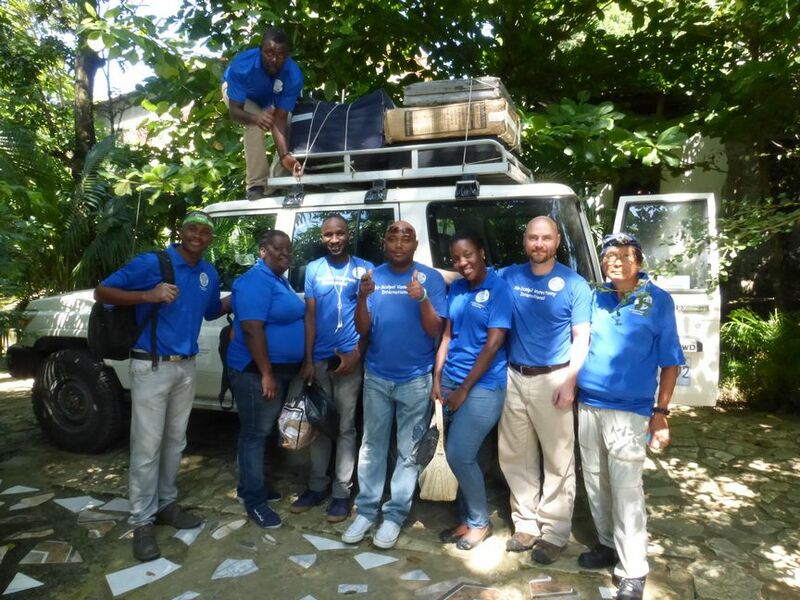 Leaving Steven and Maudelin with a clinic full of patients and driving to Centre de Sante 2000 in Limbe. 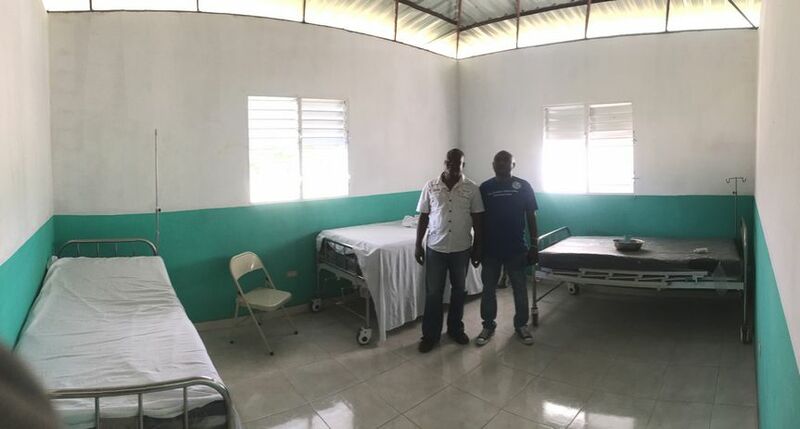 With few patients, time for a photo. A room large enough for only 2 tables. 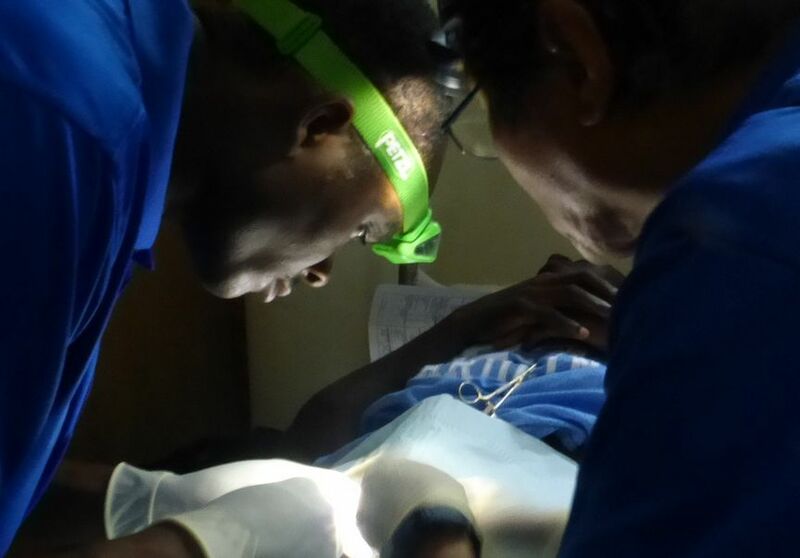 Opportunity for Claissant to sharpen his skills after 3 months without a vasectomy. 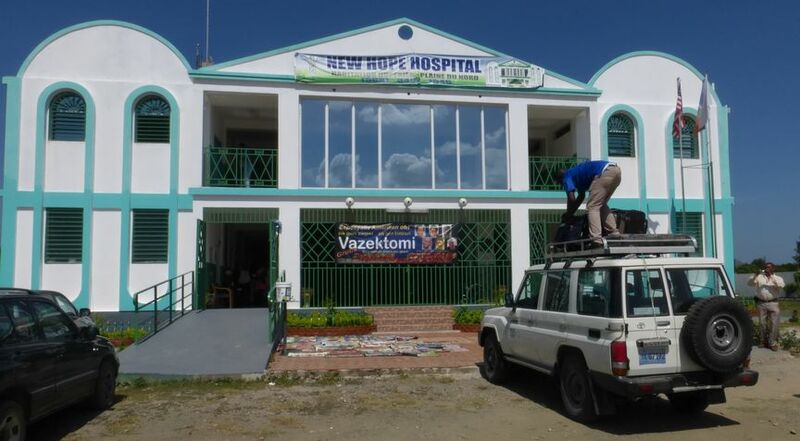 On to New Hope Hospital in Plaine-du-Nord. What a castle in the country. We were so thrilled, we forgot to take photos or our clean and spacious procedure room, our hosts, and their staff. Next time. 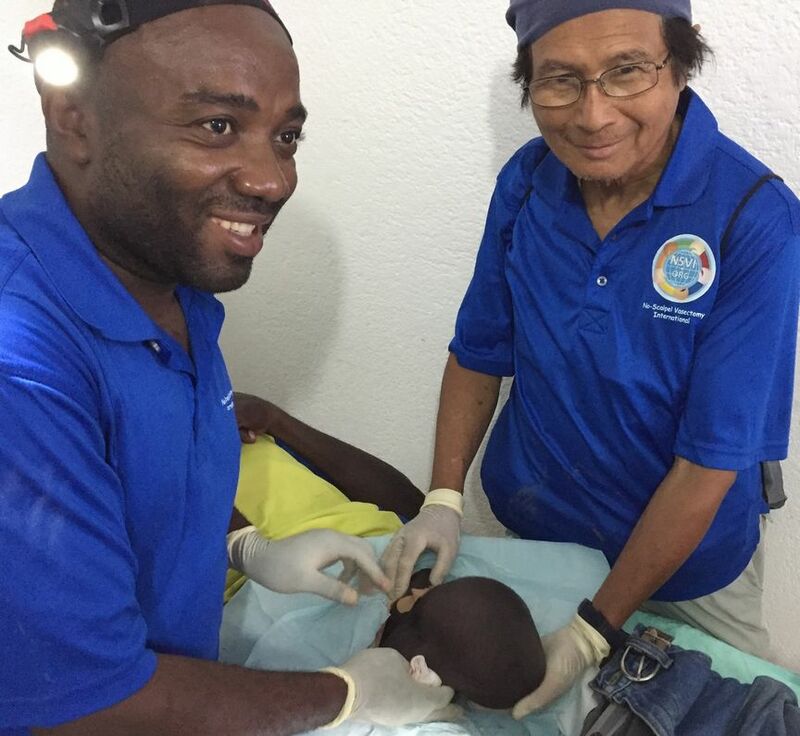 But you can see the inspirational story of Dr. Maklin and New Hope Hospital HERE. 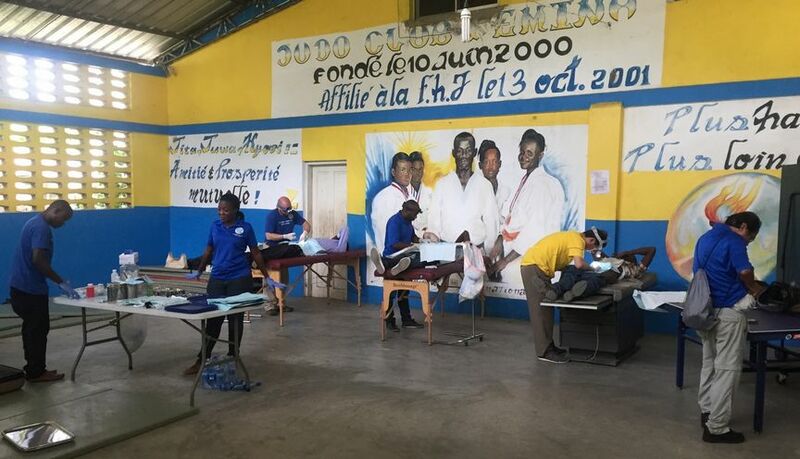 The whole team reunites at the Dugue Clinic, also in Plaine-du-Nord. 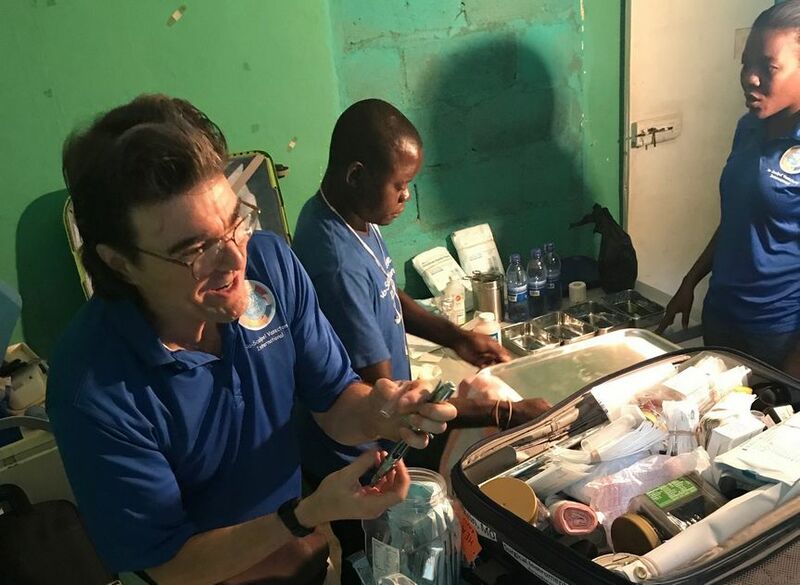 Patients waiting, sharing ideas and techniques, and training Dr. Dugue. Friday: A group photo while we are all fresh. No patients at Clinique Esperance in Terrier Rouge, so time for a quick snooze while Doug tries to resolve administrative issues. We go where administrators make it easy for us. 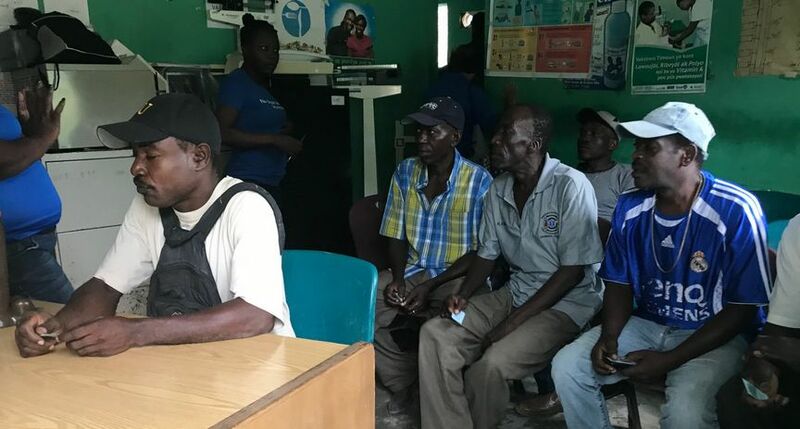 So we tried the government health clinic run by Dr. Benjamin Abnel, only one mile away. It was very nice and Dr. Abnel would be delighted to host NSVI. On to the Clinique RJP-CRAPS in Limonade. 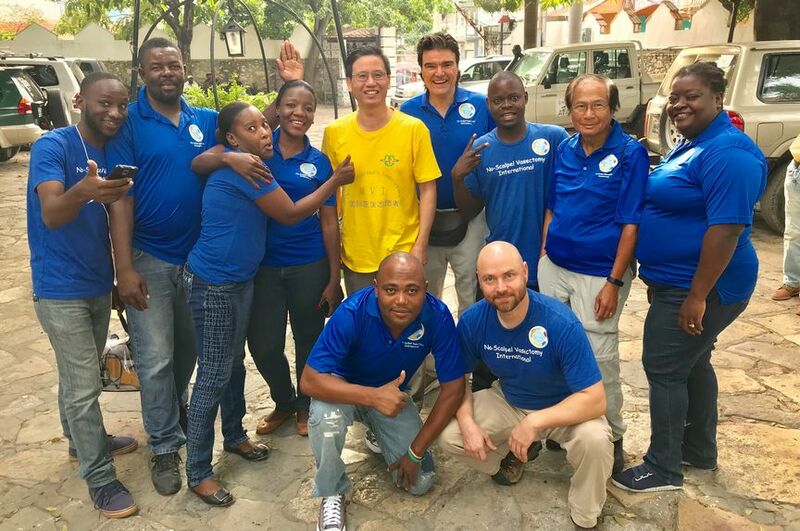 Dr. Romel is ALWAYS eager to see us and for the first time offered the gym behind his clinic where he teaches martial arts. Clodine counseled patients and the gym was a dream come true: spacious, bright, and breezy. 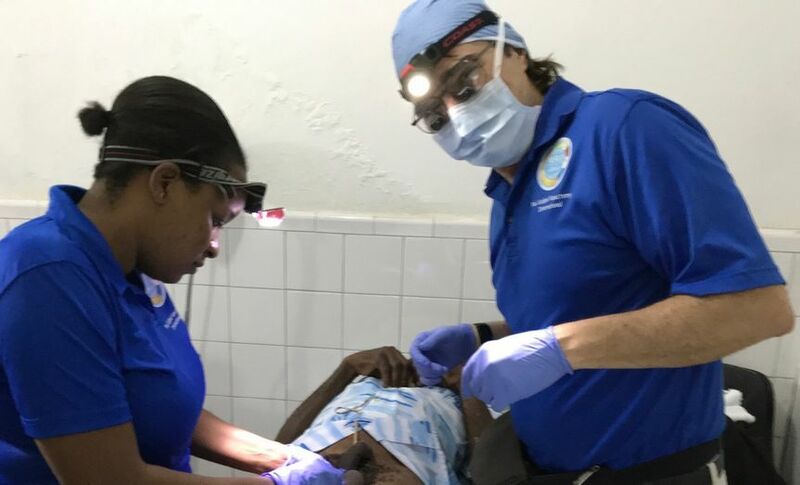 Mario and Mamaille managed the procedure room, while Tenel and Abia covered every step of the pre- and post-op process. 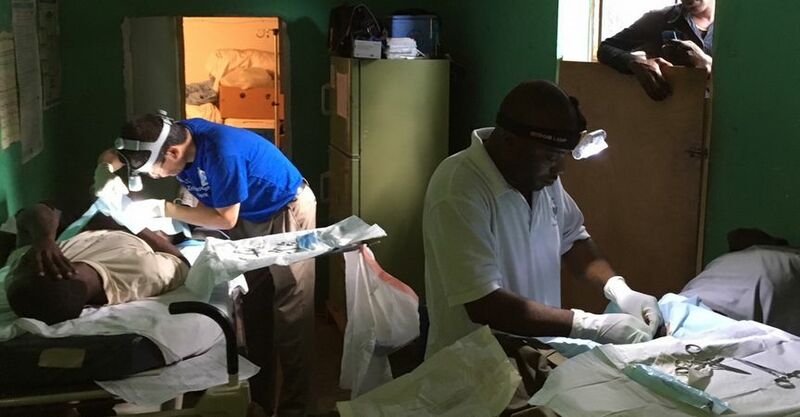 Then back to Cap-Haitien and the Hopital FSM, where patients were waiting and Clodine got right to work. 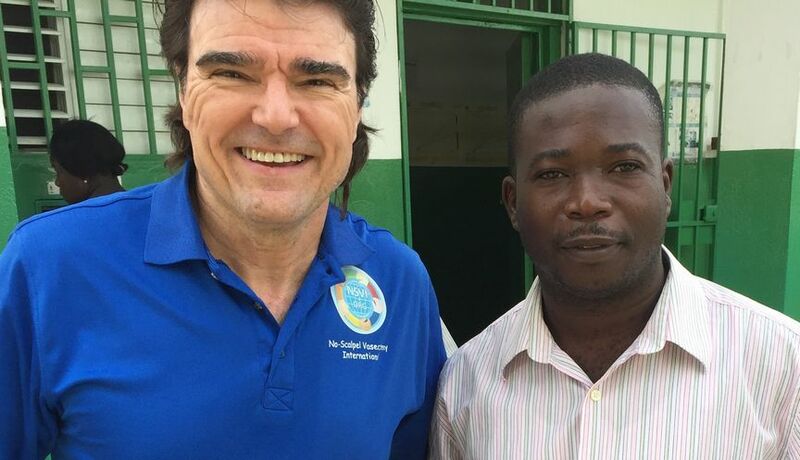 Maudelin and Ramon were so proud that they accomplished a vasectomy in the presence of such a large hydrocele without draining it. Saturday: The home stretch. 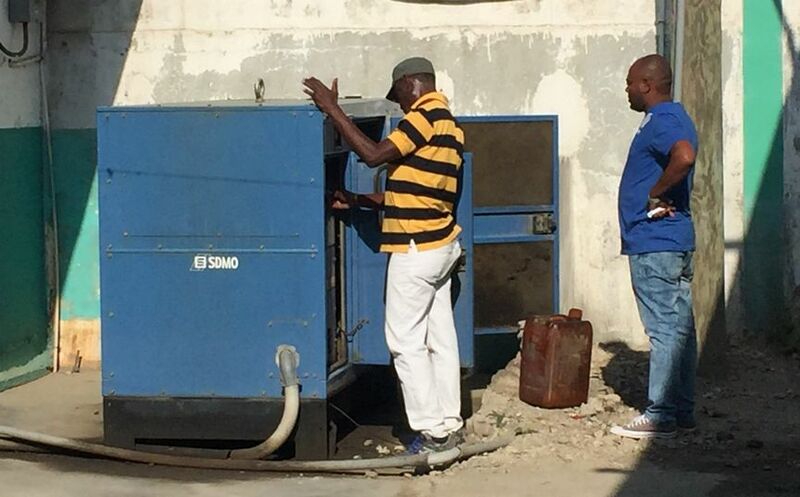 Needed to buy some generator gas so that we had electricity to run the air conditioning in the procedure room. 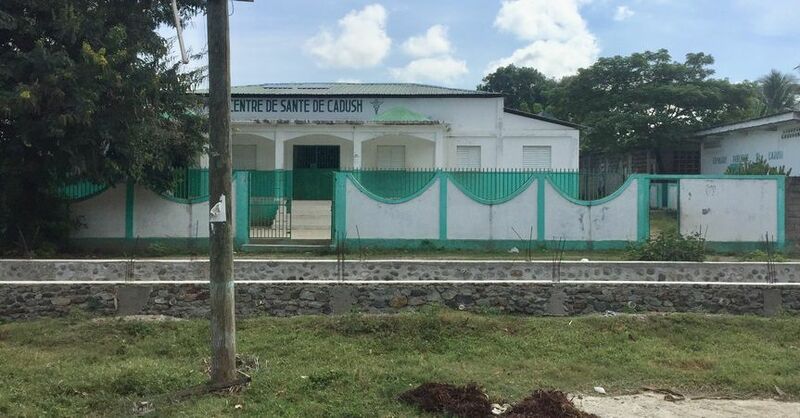 Once the team was rolling in the procedure room, I went with Covsky to evaluate a possible location for future missions: The Centre de Sante de Caduch not far from Limonade, run by Dr. Harold Bel. 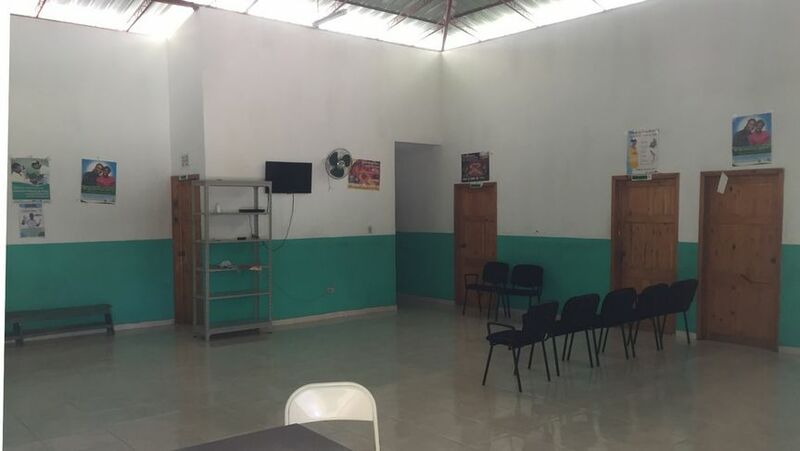 It’s a delightful facility with a huge reception area and spacious procedure room. There’s a big culvert in the front (a foot-bridge is planned), so access is much easier from the back. 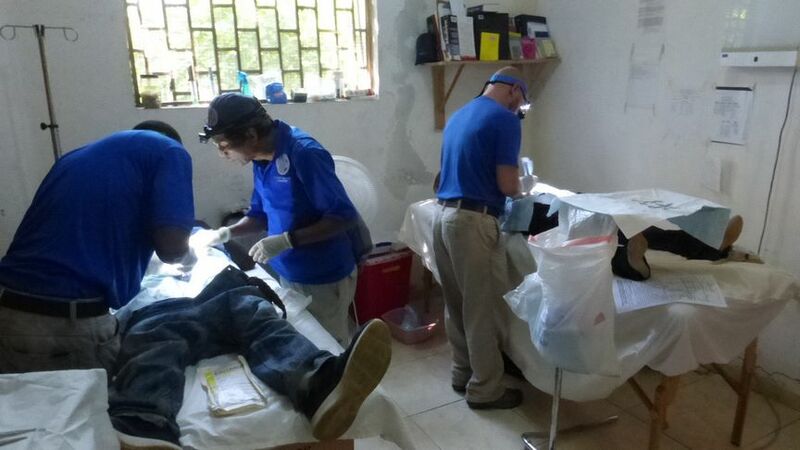 What a day in Hopital FSM: 54 vasectomies!! 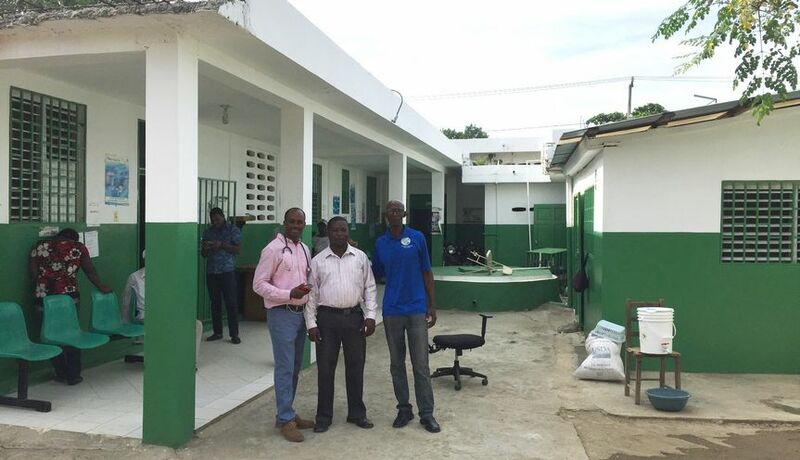 The evolution of our sites in northern Haiti continues. 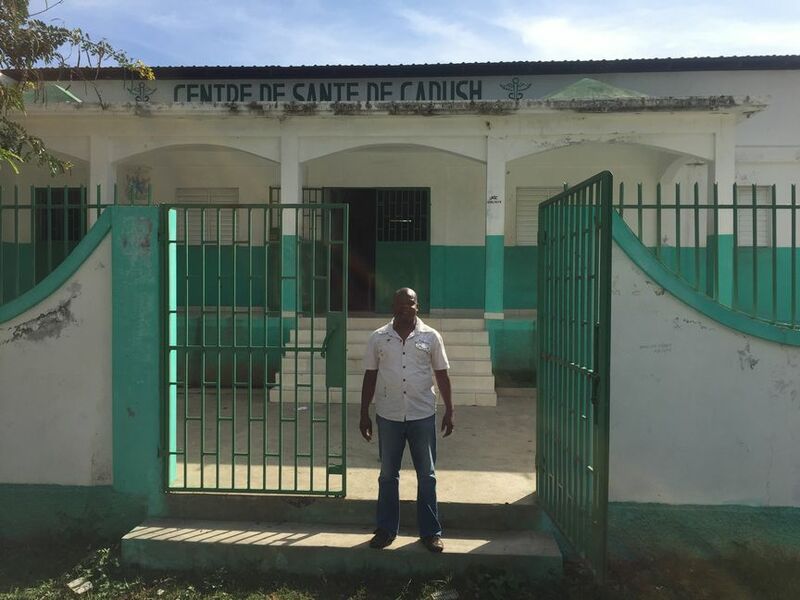 We will probably not return to Centre de Sante 2000 in Limbe or to the Cimique Esperance in Terrier Rouge, but we have 3 promising new locations: Dr. Maklin’s New Hope Hospital in Plaine-du-Nord, Dr. Abnel’s clinic in Terrier Rouge, and Dr. Bel’s clinic in Caduch. So we are excited about returning in early March 2018.